Classiclol from May 2014 – frum soon after teh Orinj Kitteh sillybrayshun week an intu teh Tricolur Kitteh sillybrayshun week. 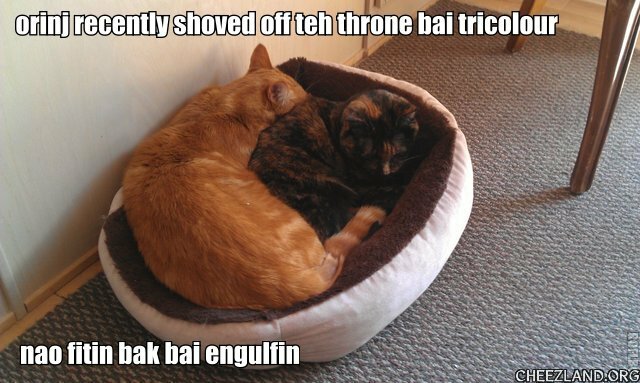 Noe need 2 fite – bed iz beeg enuff fur 2…juss abowt! Tessellation – we has it! Conga mats Annipuss! In Cheezland, the time is 04:37.